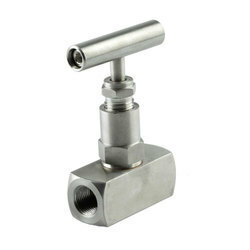 We are the leading manufacturer of Needle Valves. We are involved in manufacturing and supply of international quality standard Needle Valve. For fabricating these valves, we use top grade material, which is procured by us from the reliable sources. These high-performance needle valves can be availed from us according to client's specifications and demands.